One of humanity’s big steps has been made already millions of years ago, with the discovery of fire. Today a live without fire and with it branded lighters is almost impossible. Whether it is when you are cooking, in front of the fireplace or when you are lighting a cigarette – the personal use makes the lighter as efficient as a product can be. 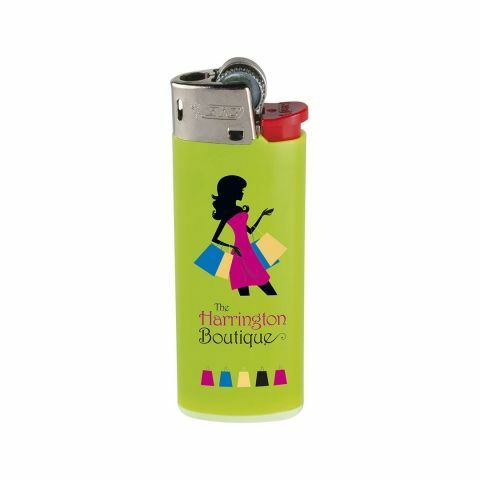 Personalise our exclusive lighters and support your marketing campaign. With the use in almost every household and in the working life, you will achieve a great advertising effect. Allbranded makes this possible. No one actually thinks that the lighter is in fact older than matchsticks themselves. However fact is, that as early as 1823, small devices were made to create a flame. The chemist Doebereiner, is named as the innovator of the lighter’s predecessor. The promotional version today, comes from the Repeating Light Co. from Springfield. This company received a patent in 1865, for the modern pocket lighter. 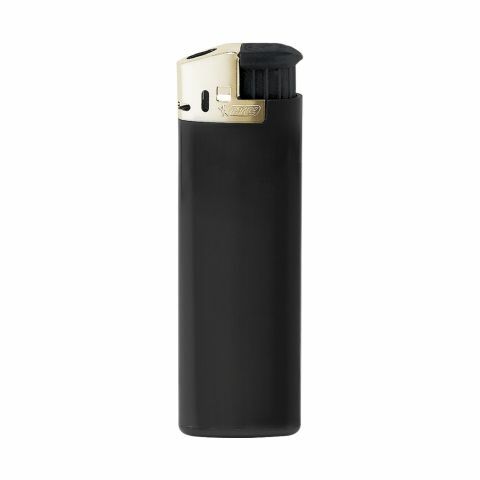 However, by taking a look at our lighter range from today, we will notice, that lighter does not always equal lighter. One reason for this is for example the various ignition mechanisms, which can be found among lighters and the fuel used for these. However only the individual design from allbranded makes this everyday item your brand ambassador and an effective promotional product. There are many situations, in which branded lighters are very useful. Be it for lighting the candle or as a refillable lighter on the go. Who does not carry one of these useful giveaways? Through a daily use, these personalised promotional products, will always make your company present in your customers’ daily lives. Promote and distribute the printed lighter at big events, exhibitions, shops or company gatherings and increase the chance of being memorised as a good company. 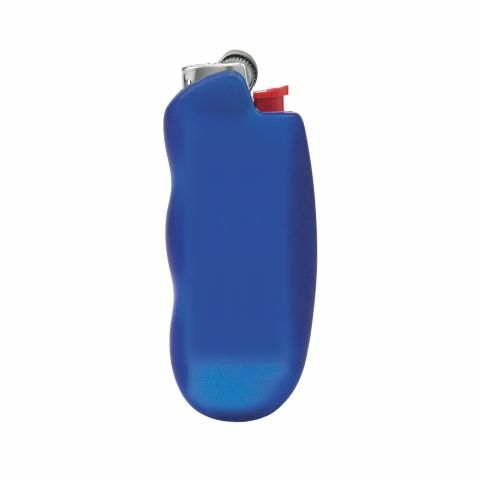 A special eye-catcher: With the premium metal lighters from the brand BIC, you will make collectors happy and will convince them with quality advertising material. Branded lighters have been used as giveaways for many decades. They are characterised by their longevity, various shapes and methods to decorate as well as a high user value at low costs. Next to disposable lighters and electro lighters, you can also find refillable metal lighters in the allbranded online shop, which can be personalised to a promotional gift, with a logo slogan or image. Lighters can make for a strong advertising reach, as they often change the owner. Not only lighters but also matchsticks are very popular giveaways at parties, in restaurants or at concerts. Not only smokers use the lighters, but also all kinds of other people. Lighters can be used to light candles and can start the most beautiful fireworks, which makes them a good promotional product for all target groups. Depending on their material, you can personalise lighters and other smoking accessories through various techniques. Next to pad and silkscreen printing, you can also choose a premium engraving on metal lighters. We recommend, that you design your branded lighters according to your corporate design, to make the company brand more memorable to the customers. In general can be said: Without logo there will be no recognition effect! 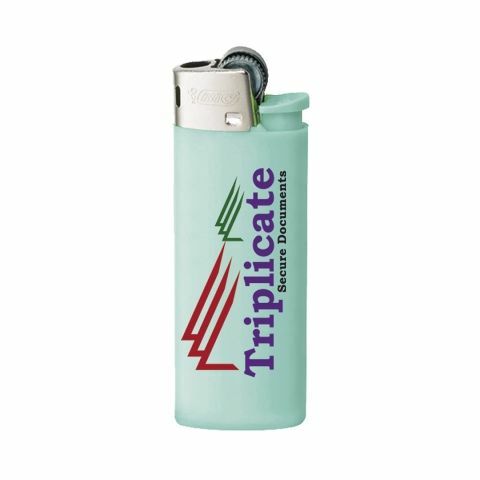 In the allbranded online store you can choose various lighters in various different colours and personalise with the help of many different branding techniques. This will attract attention towards your brand and will generate a sustainable advertising effect. To receive personalised promotional products, we will gladly advice you about the personalisation. Next to bags, lanyards and ballpoint pens, branded lighters are one of the most popular promotional products, which never miss their promotional goal. You can order directly online or give us a call or write our competent customer service an Email.